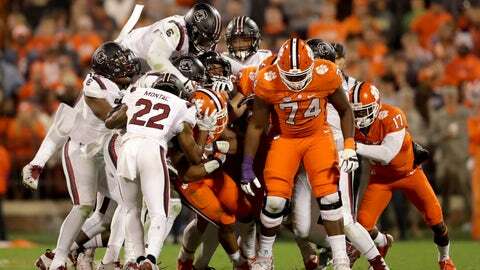 Multiple South Carolina players say Clemson players called them racial slurs during Saturday’s game. Players from both sides scuffled before the start of the game and Gamecocks linebacker Bryson Allen-Williams accused the Tigers of “disrespect” during the game. Wide receiver Terry Googer and defensive lineman Dante Sawyer also said they were victims of racial abuse. Never thought I would hear so many racial slurs in my life!! Classless is not a strong enough word to describe the actions! Clemson won the game, 56–7, its third straight victory over the rival Gamecocks.